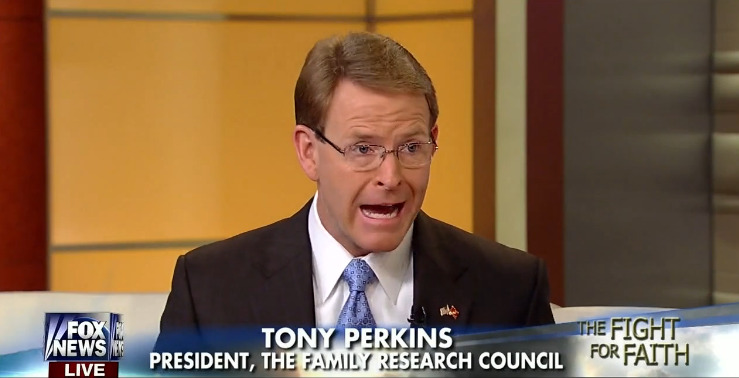 Perkins credited conservative evangelicals for Trump’s election and said that Trump knows it. “By the way, almost every time I see the president I don’t have to remind him that evangelicals were the margin for his victory—he reminds me that evangelicals voted for him and they love him!” Perkins said to laughs. Now, he said, it’s up to conservative evangelicals to “preserve” the gains of Trump’s presidency.